The Selling Skills Assessment helps detect strengths that can be optimized and weaknesses that should be worked on, in order to be more successful as a professional sales representative. It was developed to help sales reps optimize their full potential and their career, while contributing fully to the expansion/success of your organization. The Selling Skills Assessment evaluates the sales rep through 20 different personality-related characteristics. The interactive results graph provides a full description of each trait; it measures usually undetected, soft skill-related characteristics which have proven to be instrumental to achieve great performance in sales. The HireBox platform was created with 2 things in mind: User friendly and results oriented. This means that anyone using our platform will have no problem administering tests to their sales rep. Our customer service team is always on standby with a chatting system and the opportunity to give you a professional evaluation. The Selling Skills Assessment is 240 Questions and can be filled within 30 minutes. Your sales representative receives the test in his/her email inbox and gets started, right from a computer. It is very easy to do and doesn’t require any work on your part to grade it as the system does it automaticly. Be More Competent, More Passionate and More Efficient Closers! Focuses on What Can Be Done! Our Selling Skills Assessment is not a judgement tool; it does not evaluate or invalidate people. It only helps to detect strengths that can be optimized and weaknesses that should be worked on, in order to be more successful as a professional sales rep. The Most Precise Self-Help Tool! With over 90% precision on measuring job-related soft skills, our Selling Skills Assessment focuses on improving a sales rep’s needed skills that are absolutely vital to succeed in professional selling. We all have our weaknesses and being able to “discover” what one can improve is a first step to self-perfection. Our team of professional evaluators is available to talk to anyone who takes the assessment and propose a development/improvement program – in coordination with you. All this is done in conformity with applicable privacy laws and in compliance with non-discrimination regulations. We guarantee discretion, confidentiality and respect of private information. Our Selling Skills Assessment was developed with one purpose: to help sales reps optimize their full potential and their career, while contributing fully to the expansion/success of their group. We believe that everyone has huge potential and merit to succeed, no matter what they do. The analysis of a person’s profile with our Selling Skills Assessment is done exclusively with the following question in mind: how can that person do better, feel better, enjoy her job and be willing to reach her full potential? Most sales people resent performance reviews, because those can be based on opinions, more than on measurable facts. Our Selling Skills Assessment can be a tremendous help to your periodical performance appraisals, by allowing the tested sales person to look at unseen or overlooked needs for improvement. You cannot improve before facing what needs to be improved. Our Selling skills Assessment measures usually undetected, soft skill-related characteristics which have proven to be instrumental to achieve great performance in sales. 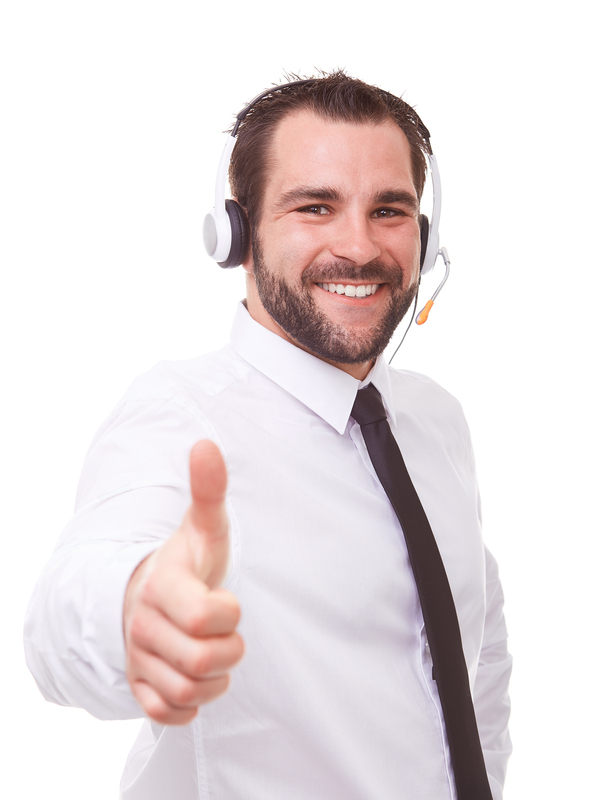 It is proven that happy sales reps are more successful. Work should not be about showing performance at the cost of personal well-being. Work-life balance has proven to be a major condition of professional performance and happiness. With our Selling Skills Assessment, we help the tested person to face what needs to be done to achieve a better work-life balance and to feel happier every day. Measures the level of predictability in behavior. Defines how predictable and consistent the sales person is in his/her actions. How can others rely on his intentions? Des he convey trust and reliability? Can he provide customers with the needed certainty and conviction that he is presenting the best solution to their needs or problems? Measures the salesperson’s level of energy at work. Also evaluates initiative and drive. Is he willing to work hard and to do his/her best to get results? Is he demonstrating willingness to fight and do whatever is needed for the customer? Reflects optimism or pessimism. Also shows the level of interest – or lack of interest in life. Can the tested sales person demonstrate enthusiasm in doing things and in selling his product/service? It is well-known that enthusiastic sales people are more successful. Measures the sales person’s ability to persist in one direction. Also shows the level of orderliness and organization. Is he persistent or liable to give up too soon? Persistence is a vital quality in selling – especially when one has to deal with long sales cycles. Measures the sales person’s aptitude to stay calm, in control. Also evaluates the ability to exercise a calming influence on others, when all goes wrong. Having good self-control is important in selling, especially when dealing with difficult or demanding customers. Measures the sales person’s assertiveness and ambition. Shows how willing and able he is to “fight” in order to get the expected results. This trait is vital for sales people, as it shows the willingness and ability to ask for the sales – the order or the money! Evaluates the sales person’s communication skills. Also measures how open he is with others. Is he freely talking to people or is he rather withdrawn? Is he also listening? This is a critical quality that top sales reps possess. Measures empathy and relationship skills. Shows interest – or lack of interest in other people. Is the tested sales person getting along with others? How much does he care about his customers and how much is he willing to do to ensure that they are satisfied? Degree of certainty – or lack of, in personal abilities. Evaluates how much self-confidence the sales person can demonstrate. How confident is he of his potential and talent? How much credibility and certainty can he convey when defending his product/service against the competition? Measures the aptitude to see things exactly as they are. Can the tested sales person objectively analyze situations without being influenced by subjective, arbitrary opinions? This is a very important attribute of successful salesmanship. Measures degree of tolerance – or lack of. Can the tested sales person accept situations or others without criticizing them? Or is he critical and intolerant? Tolerance is another vital quality detected in top sales people – the ability to agree with others even if they have different opinions; the willingness to work with the customer and to take the time to really listen! Measures how much the sales person believes in their product or service. Is he passionate about what he is selling? Is he aware that the customer buys his conviction FIRST? This trait is really about personal conviction (or lack of) that people buy the sales person first – their passion and dedication to help the customer make the right buying decision. Evaluates if the sales person takes full advantage of available marketing material & information, in their effort to enlighten and close the customer. Lack of marketing know-how can be a major barrier to overcome the customer’s objections – especially when facing arguments in favor of some competitor. Does the sales person present a good, practical knowledge of his product or service? How does he defend your product against the competition and how much technical expertise can he demonstrate when challenged by difficult customers? Evaluates the degree of dedication to serve and help customers. Is the sales person fully aware and in agreement with the fact that customers remain loyal ONLY to suppliers who do their best to provide a professional service? Is he truly and naturally service-minded? Evaluates the level of performance the sales person believes he is currently demonstrating. It is an indicator of how “satisfied” the sales person is regarding his current sales performance and might not be in accordance to expectations. Measure how interested the sales person is in improving himself and doing whatever is needed to be more competent, as a sales professional. Constant attention to perfection is an ideal attitude that guarantees success in selling. Believing that one knows everything is a definite barrier to better results. Evaluates how good the sales person is in making new customers. Does he have a hunter’s mentality? How much can he rely on new business development for achieving targets? Measures the sales rep’s ability to maintain a growing customer base and to keep them happy. Customer loyalty is a vital sales strategy that can offer your company accrued profits without too much effort. Losing existing customers is a primary reason why profitability suffers, as one must constantly hunt for new business. This quality is extremely vital for the survival of any business. Evaluates if the sales persons considers himself as being a god closer – or not. It measure if he has what it takes to perform at the closing – and what needs to be improved if needed, to become a top closer. Start Increasing your Sales Reps' Potential! One of our trained Consultants will show you how powerful our platform is and how it can help you in your business!